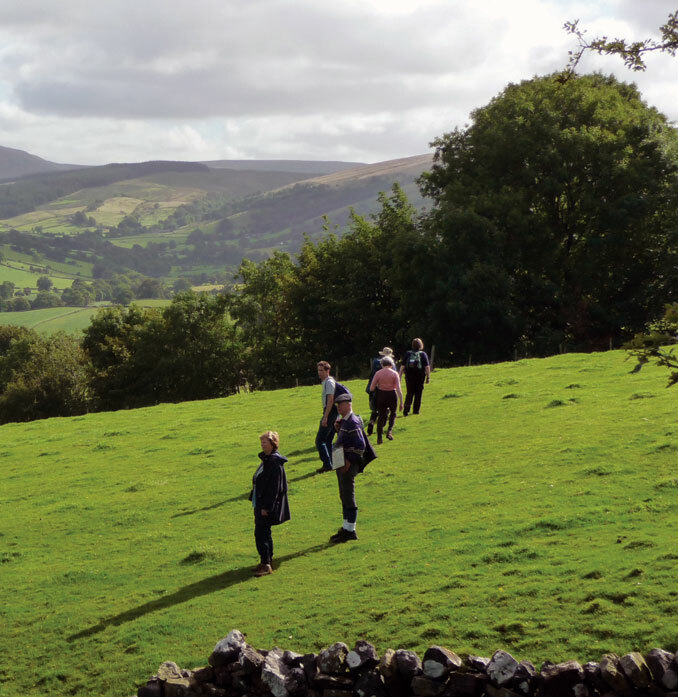 Join our walks, lunches and other special charity events and find out more about Yorkshire Dales Millennium Trust and our work in this beautiful part of the country. Every year we welcome new and old friends of the Yorkshire Dales Millennium Trust to join us for lunch and to find out about our recent work and hear the wonderful things we have been able to achieve as a direct result of receiving legacies. Yorkshire Dales Millennium Trust lead guided walks in the Yorkshire Dales and surrounding areas around five times a year. It's a great way to meet the team, learn about the area and find out about our work. The walks usually focus on a particular area of our work - like woodlands and wildflower meadows - and we always make sure there is a great place to eat at the end! Search for upcoming walks on our Events page. We invite people who have dedicated a tree with us to come to our Woodland Open Days twice a year. Here you can explore the woodland, look at the trees and talk to our staff and volunteers about our work. Find out more about dedicating a tree in the Yorkshire Dales.